In early September, Schneider Electric became the first company to be able to announce that some of its uninterruptible power supply (UPS) units are the first UPSs to earn the U.S. federal government’s ENERGY STAR qualification. You can read the announcement here, but to learn the inside story on the work involved in achieving the designation—including how the company reached out to get the product certified by a highly respected third-party organization—check out this blog post by Schneider Electric’s Jay Taylor. 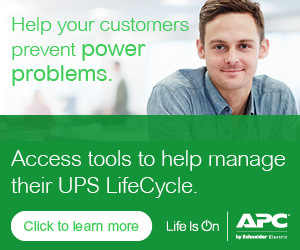 The post also discusses upcoming plans for more ENERGY STAR designated UPS products. Some recent research indicates the global UPS market is working its way out of a slow patch, so partners need all the knowledge they can to position UPS advantages. With that in mind, also considering checking out white paper 157 to learn more about the benefits and risks of energy saving “eco-modes” of UPS operation.